Foxwoods Casino in Mashantucket, Connecticut, boasts the largest gaming complex in New England: 4,800 slot machines, more than 250 table games, and the Bingo hall to beat all Bingo halls—it's one of the largest in the world with seating for 3,600. Here is your guide to Foxwoods-specific gaming information, online sites to help you learn the games and plan your strategy and information on becoming a Foxwoods Rewards member. Can't get to Foxwoods? Register free to play online with virtual money, and hone your gaming skills. You can also earn Foxwoods Rewards points. Win great jackpots and door prizes in Foxwoods' Bingo tournaments. A complete schedule is available online. You can also call 1-800-FOXWOODS for Bingo information. Foxwoods is New England's only destination for high stakes Bingo... 365 days of the year. Foxwoods offers both traditional Baccarat and Mini-Baccarat, in which the dealer controls the cards instead of the players. Blackjack is the most popular game at Foxwoods. Here are the casino's rules. One of the most exciting games at Foxwoods—the progressive jackpot keeps Caribbean Stud Poker players on the edge of their seats. And, since every player can theoretically win each hand, there's a lot of camaraderie at the tables. You played it as a kid—now play it for the big bucks! War is one of the fastest-paced games at Foxwoods. Ever notice how the crowd around the craps table always seems to be having the most fun? Here's information on craps at Foxwoods. Play against the dealer in this best four of five cards poker game that offers multiple betting options and a Super Bonus payout. If you like to press your luck, you'll want to play Let it Ride at Foxwoods. The Money Wheel at Foxwoods is one of the casino's "simpler" games. Pai Gow is the forerunner of American dominoes. Here's some insight into how the casino version of the game is played at Foxwoods. A combination of poker and the ancient game of Pai Gow, this table game is one of Foxwoods' intriguing options. While the rules seem complicated, play becomes quite intuitive once you get the hang of this game. Check Foxwoods' Web site for a tournament schedule, and get in on the 24/7 live poker action at the 104 tables in Foxwoods' WPT World Poker Room: the largest poker room on the East Coast. Poker games played at Foxwoods include 7-Card Stud, Texas Hold'em, HORSE, Razz and Omaha-8 or better, with limits of from $1 to no-limit. Foxwoods offers all the thrill and excitement of the roulette wheel. What's your lucky number? It's like Blackjack—with more ways to win. Learn the rules of Spanish 21 before you visit the casino. This fast-paced game requires quick decision-making, and there are several ways to play. Casino Gambling Tips and Tutorials from ThoughtCo. 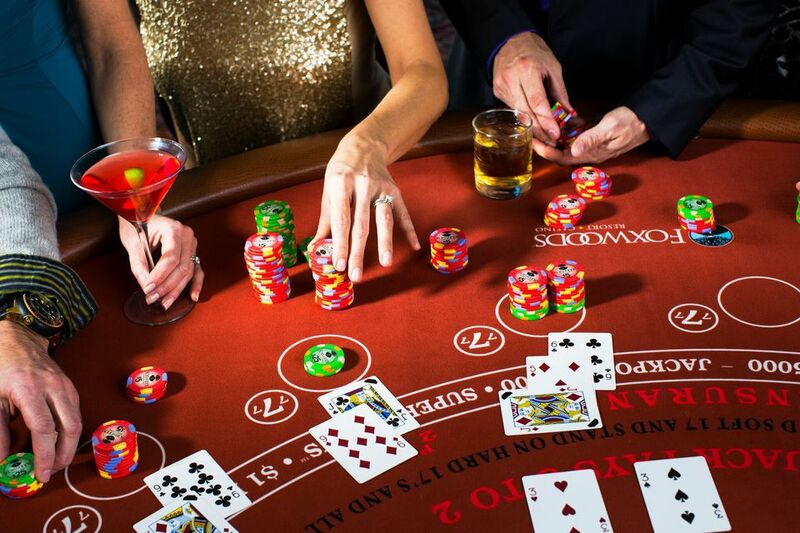 Learn to play smart before you head to Foxwoods with tips from gaming experts. How much of an advantage does the house have? Here's a mathematical look at the odds of winning various casino games. Join the Foxwoods Rewards program to earn valuable rewards for your casino play. Sign up online, or stop by any promotion booth at Foxwoods for your free membership card and details. If you or someone you love cannot control a gambling habit, Gamblers Anonymous offers support and resources that can help.